How much derby can we pack in one weekend? We are about to find out! Tonight come see us at one of our favorite events, GET DOWNTOWN! 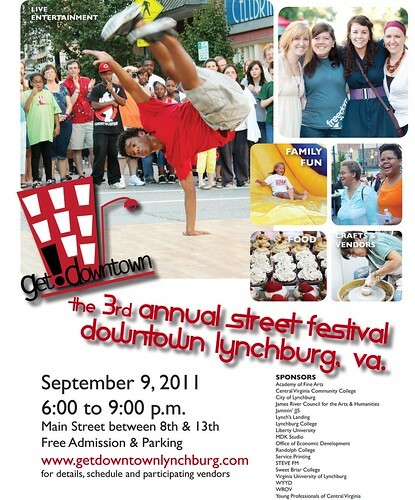 We will have a booth set up near the market on Main and 12th Street in Lynchburg from 6-9 pm. You can’t expect us to just stand there all night though so of course we will be lacing up our skates and hitting the streets in our home city. Come to say hi, grab some pre-sale tickets to our next home bout, enter a raffle, get some merch, challenge us to an arm wrestling match, couples skate with our pizzaz…the list goes on and on. It is a free event with vendors, performers (our hula hooper friends will be there with fire!) and all the goodness downtown has to offer. Be there!! 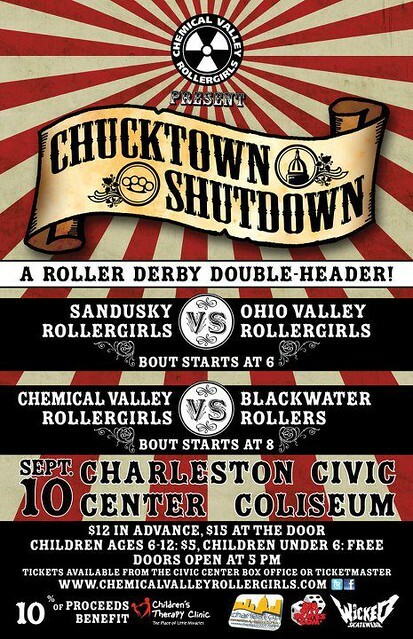 Tomorrow we are packing up the van and road tripping it to Charleston, West Virginia to take part in the Chucktown Shutdown with our good friends the Chemical Valley Roller Girls. These rad derby girls have been around for years but this is their very first HOME BOUT! They came to Appomattox for our first home bout back in 2009 so it is only right that we return the favor. We are playing them in the headlining bout in an intense double header at the Charleston Civic Center. We could not be more excited for this team and are ready to do our thing in what may be our biggest crowd yet! If you know anyone in the area, tell them about this bout! And why not just load up your car yourself and make a trip to our sister state to the west and see some crazy derby action! Sorry Chemical Valley, we are not going to let you “shut it down” so easily!